Solar And Wind Energy May Be Nice, But How Can We Store It? : All Tech Considered Renewable energy is taking off across the nation, but storing the energy is still a problem that is challenging companies to innovate, with solutions ranging from molten salt to ice. 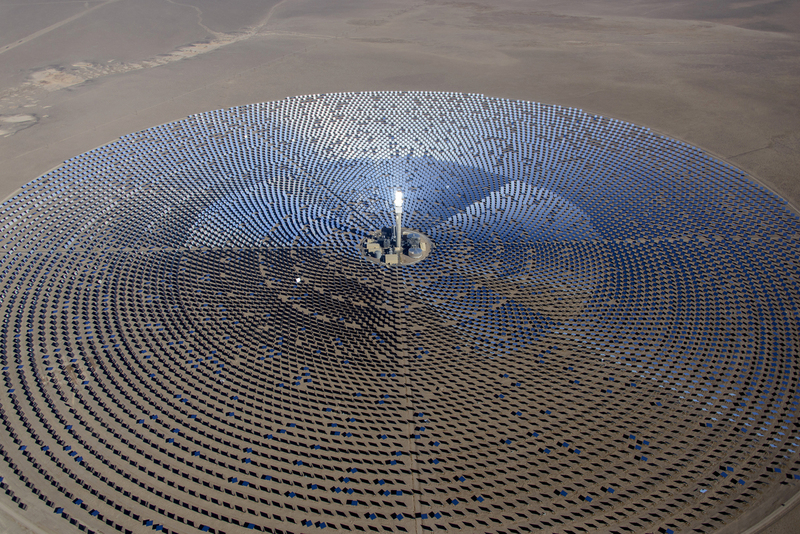 SolarReserve's Crescent Dunes Solar Energy Plant, located near Tonopah, Nev., features an array of 10,347 mirrors arranged in a circle 1.75 miles across. A 640-foot-tall tower glows when the sun's energy is concentrated and directed to the top. A company called SolarReserve may have found a solution: It built a large solar plant in the Nevada desert that can store heat from the sun and generate electricity for up to 10 hours even after sundown. You can see the Crescent Dunes Solar Energy Plant from miles away. There's a 640-foot-tall tower surrounded by 10,347 mirrors. The heliostats, as they're technically called, are arranged in a circle that is 1.75 miles across. They direct heat from the sun to the top of the tower, which glows white-hot. "This is really the first utility-size project of this type in the world," says SolarReserve CEO Kevin Smith. Kevin Smith, CEO of SolarReserve, stands in the control room of the Crescent Dunes Solar Energy Plant. "This is really the first utility-size project of this type in the world," he says. He says the key to the plant's ability to store energy is molten salt. You can't see this special kind of salt because it's contained in a system of pipes and insulated storage tanks. "It actually looks like water. It's clear — it flows like water," Smith says. He says the molten salt has to remain above 450 degrees Fahrenheit to stay liquid. It's sent up the tower to the glowing tip, where it's heated further. When the salt comes back down, it is 1,050 degrees. The molten salt is used to make steam to power a generator. The facility can continue to produce electricity for up to 10 hours after the sun goes down. Smith says that flexibility is very important to the local utility. Billboard-sized mirrors arrayed in a large circle follow the sun as it moves across the sky. The heliostats, as they're known technically, direct the sun's energy to the top of a tower. "That's the whole concept here is that this facility would operate just like a natural gas, or a coal or nuclear facility — turn us on and off when they want," he says. "We have energy in storage so that we can generate at night." At full capacity, he says, the $997 million plant generates enough electricity to power 75,000 Nevada homes. There was a problem with the plant briefly last year. During a test, observers recorded a video of birds flying into heat from the mirrors and being incinerated. The plant is on federal Bureau of Land Management property, and the agency says the company fixed the problem by adjusting where mirrors are pointed at certain times. The BLM says biologists have documented fewer than five bird deaths a month since then. The group Basin and Range Watch is suing the agency to get more detailed data that biologists have collected. 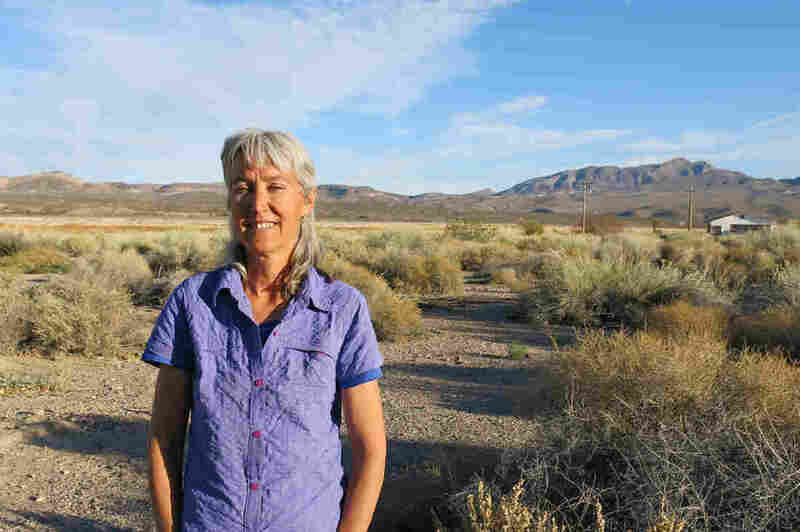 Laura Cunningham, co-founder and executive director of Basin and Range Watch, stands near her home in Nevada. Her group has taken legal action against the U.S. Bureau of Land Management to learn more details about the number of bird deaths associated with Crescent Dunes Solar Energy Plant. Executive Director Laura Cunningham says she supports solar. "So we're in a little bit of an unpopular position of trying to defend solar but then criticizing some solar," she says. Cunningham says in addition to the bird issue, she believes facilities like this should be built closer to where people live and away from wild areas. Another issue with this plant is cost. The utility NV Energy is buying all the electricity from Crescent Dunes for the next 25 years at 13.5 cents per kilowatt-hour. That's much more than the same power would cost from a natural gas plant. Smith says his company learned a lot from building this first project, and he says subsequent plants will be cheaper. That'll reduce the cost of electricity, because once the plant is built, the fuel is free. The ability to store solar power will also add value to the plants. "We really think we've cracked the code here with energy storage and we can take this technology and bring it worldwide," Smith says. 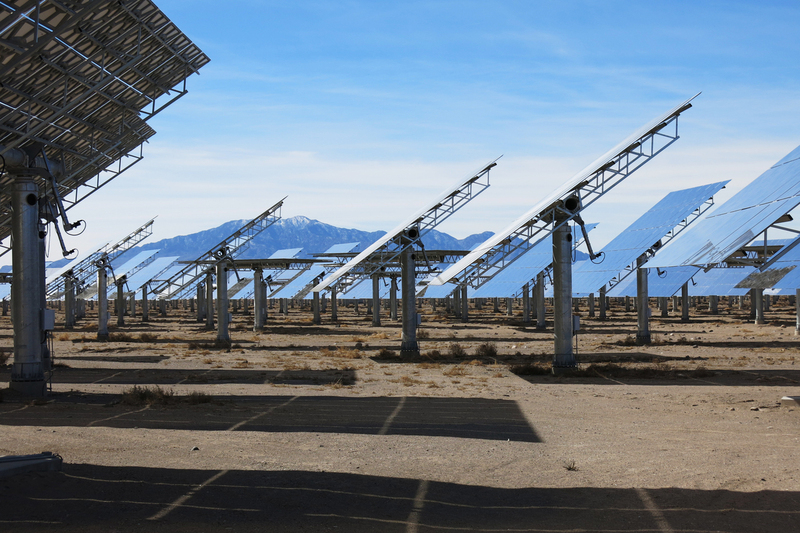 SolarReserve expects to begin work soon on the company's second solar plant with heat storage that will be built in South Africa. The challenges of renewable energy are becoming apparent in California, where the state's ambitious goals are driving a boom in solar power. Earlier this spring, there was so much electricity on the grid that solar companies were told to turn off their production. To cope with the higher demand for power in the evening, electric utilities are being required to add energy storage to the grid, which would store the extra electricity that solar farms generate during the daytime. One startup — LightSail Energy — experimented with compressed air. 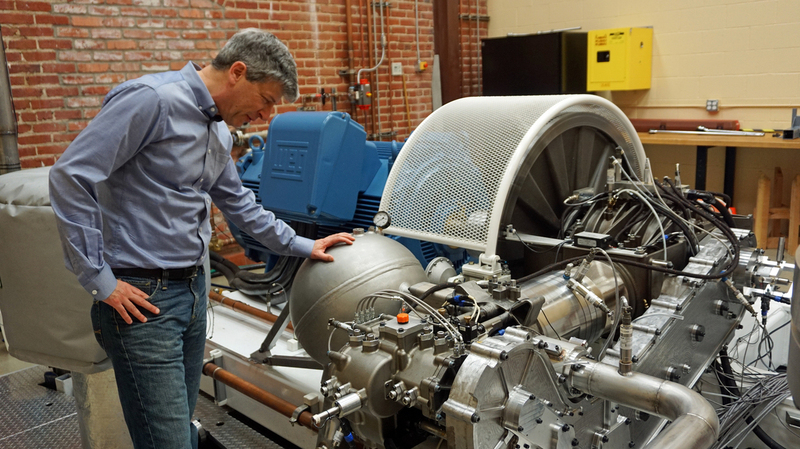 Steve Crane of LightSail Energy in Berkeley, Calif., has developed energy storage technology that compresses air in large tanks, so it can generate electricity when needed. "What you're looking at really is best described as a giant scuba tank," says Steve Crane, pointing to a 25-foot tank in the warehouse of his company, LightSail Energy in Berkeley, Calif.
"The electrical energy is hard to hold onto," Crane says. "Compressed air is relatively easy to store for hours or even days." Here's how it works: When there's extra electricity, Crane turns on a giant air pump. It fills the tank, compressing the air by 200 times. Then, when electricity is needed, the air is released to drive an electric generator. The hard part has been dealing with all the heat this makes. "Any air compressor that you use, even a bicycle pump, creates heat," Crane says. "A bicycle pump will feel warm after you've used it for a while." Crane's technology uses water to capture some of the heat, so the energy isn't lost. The technology is still in the early stages, but he says it could have an edge over batteries because it's likely cheaper and lasts longer. "If you have a laptop or cellphone, you know that after two to three years, you start to see significant deterioration," he says. Traditionally, batteries store energy in chemical form, but a thermal "battery" uses temperature. A California-based company is using the concept to build Ice Bear, a thermal energy storage unit that can both reduce energy demand and store energy during the night. Greg Miller, executive vice president of Ice Energy, poses next to the "Ice Bear," his company's invention. The equipment cools down air conditioners in the day and stores energy at night. An Ice Bear can save up energy in a 450-gallon tank of water, for example, by turning it into ice. That energy is used later on, to cool the building next door during the hottest time of the day and into early evening. 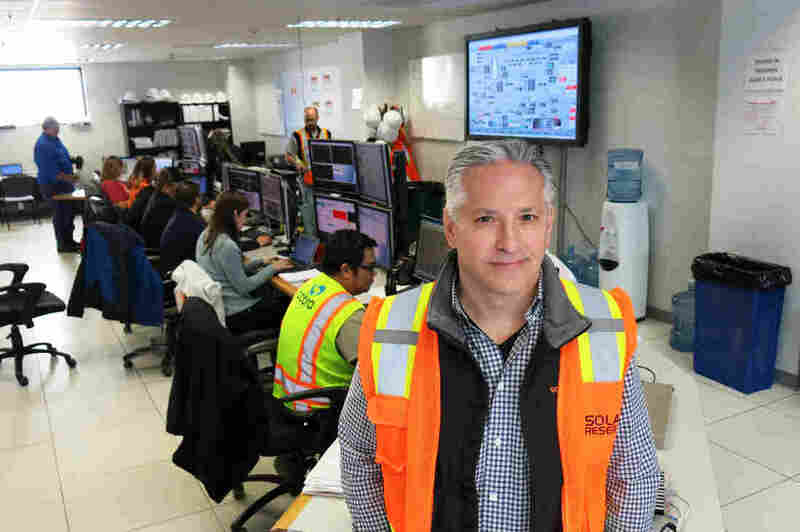 "Essentially what we're doing is we're shutting air conditioners off during the day, consuming energy at night and displacing that peak load for the utility company," says Greg Miller, executive vice president of the company, Ice Energy. Peak load refers to the time of day or year when we're using the most electricity. In Fort Collins, Colo., that's in the summer, between 2 and 7 p.m. The Ice Bear brings down the total amount of electricity needed during those busy peaks. In 2014, the company got its first big order from Southern California Edison for 25.6 megawatts of storage, which is around 1,800 Ice Bear units. The California utility won't disclose how Ice Energy's thermal storage stacked up to the other companies that also won storage contracts. Ice Energy also has a deal in process on the island of Nantucket, Mass. 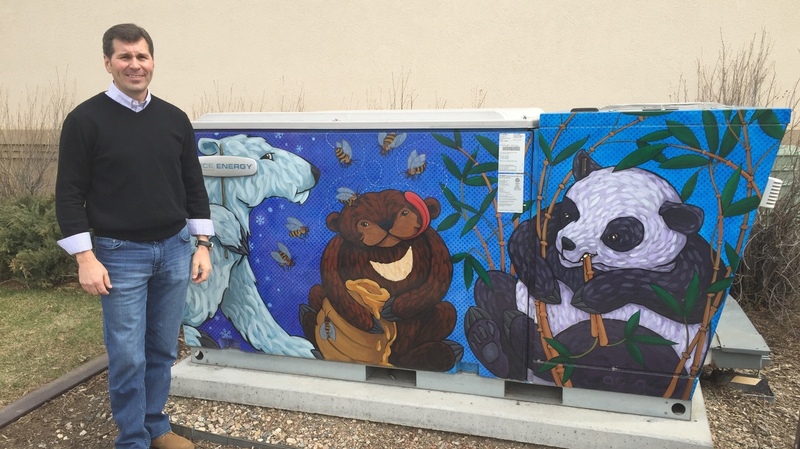 In Colorado, there is an important limitation to Ice Bear's technology. During winter, the demand for air conditioning is low, so there is no need for the Ice Bear's services. Miller says that during cold months, the unit just sits idle. The Ice Bear, unlike compressed air or molten salt storage, saves up energy for temperature control but can't feed electricity back onto the grid. But when temperatures soar in the summer, the Ice Bear goes to work.